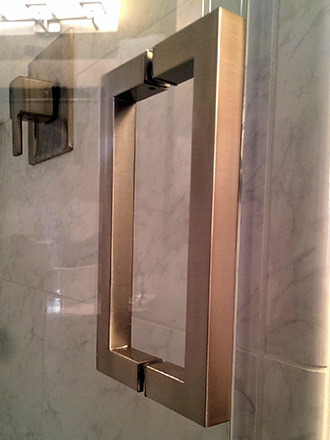 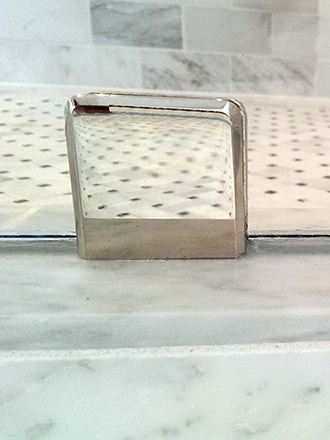 Shower hardware not only keeps your shower doors together but pulls the design together as well. 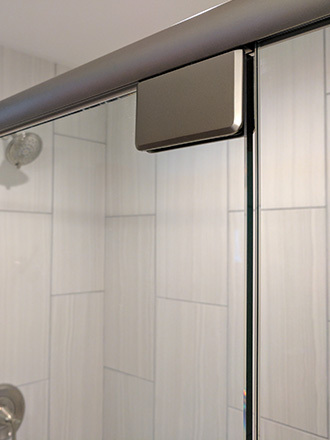 Shower shelves, handles and hinges are the true finishing touches of your new shower, which is why American Glass & Mirror offers a wide selection of options to suit any shower style. 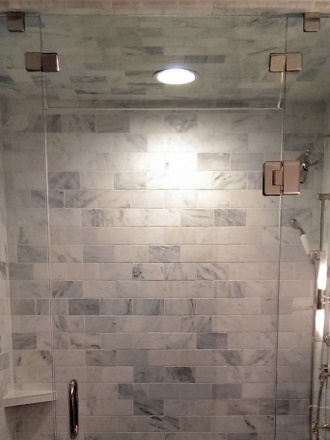 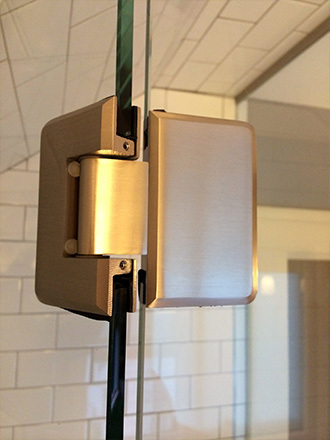 Want more information about installing a frameless shower door in your St. Paul or Minneapolis home? 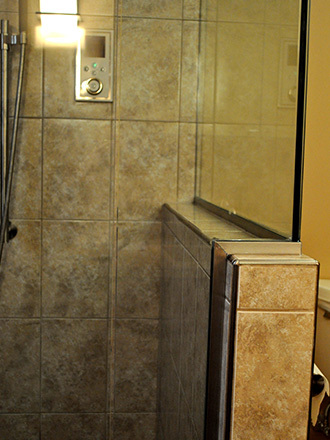 Give us a call (952) 447-3151, or contact us online. 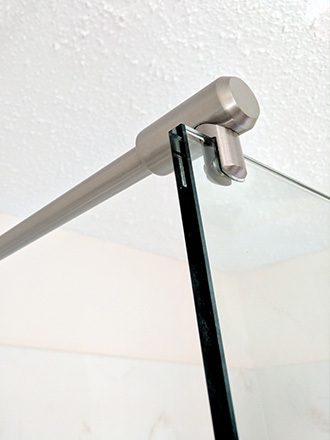 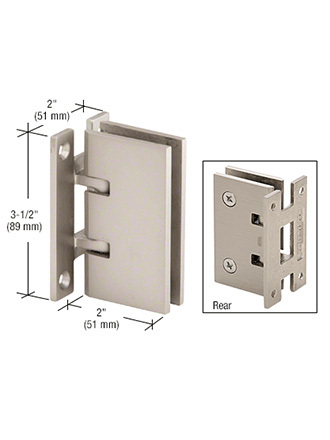 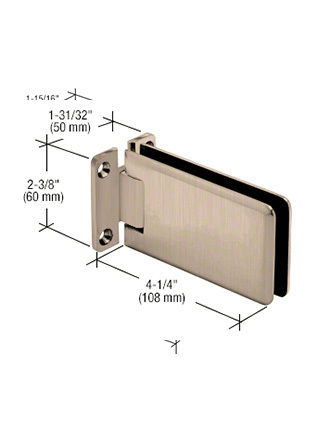 Whether you have a single glass door, corner or alcove shower, we have the shower door hinges and mounts to keep your glass shower enclosure secure without compromising style. 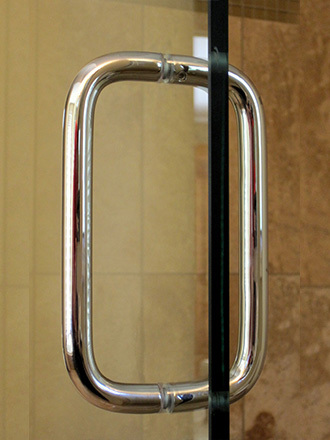 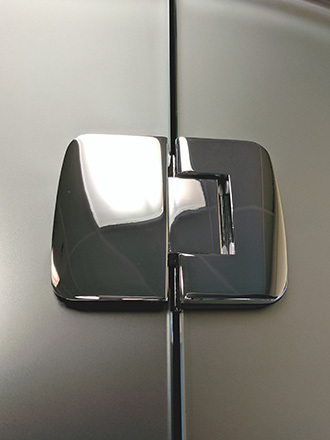 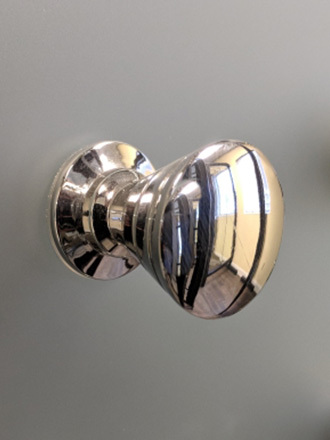 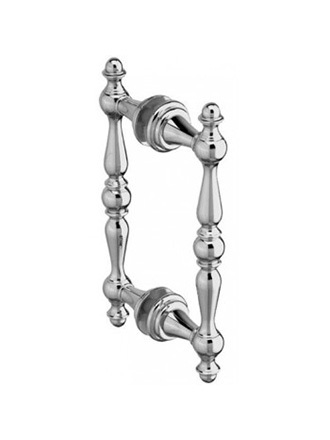 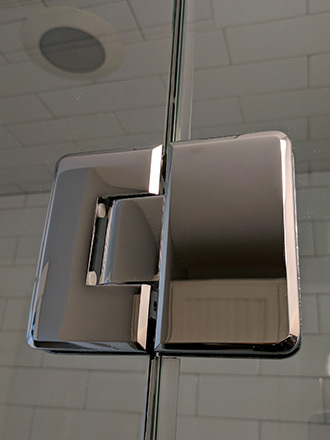 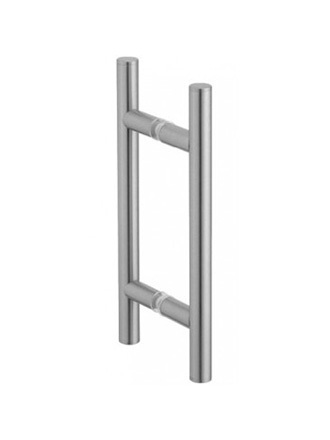 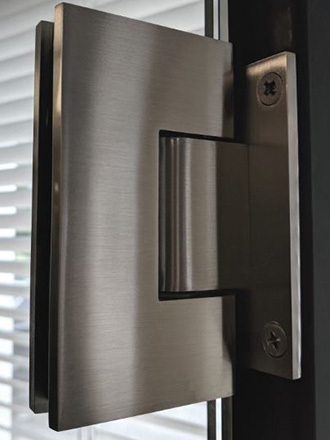 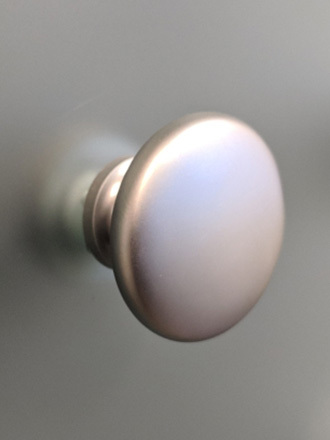 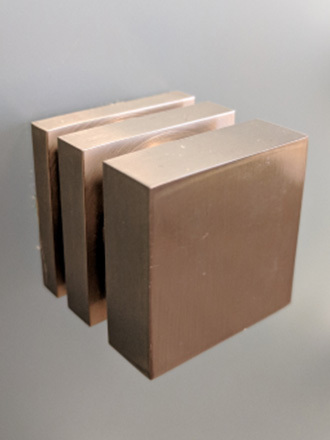 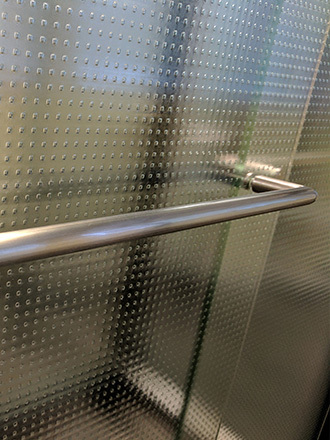 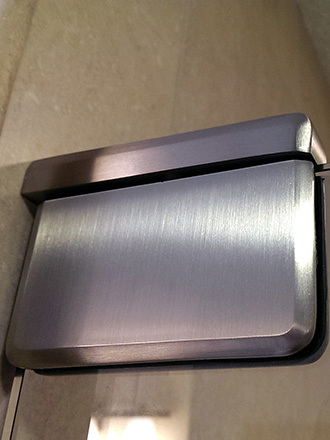 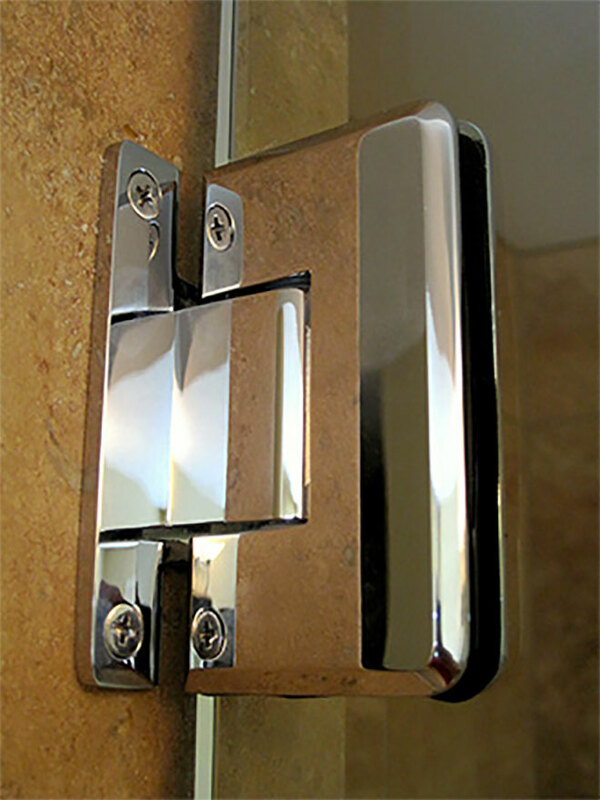 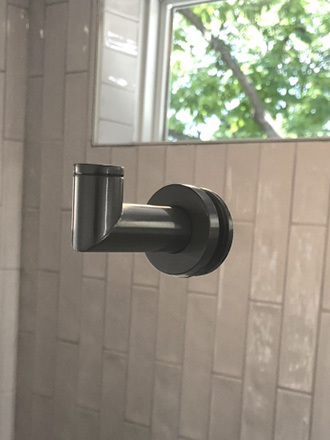 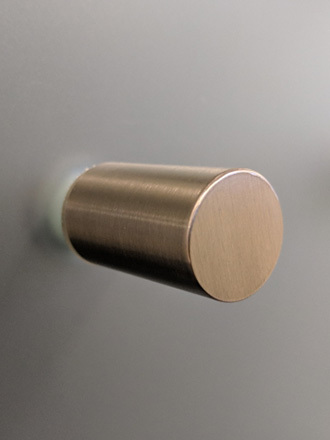 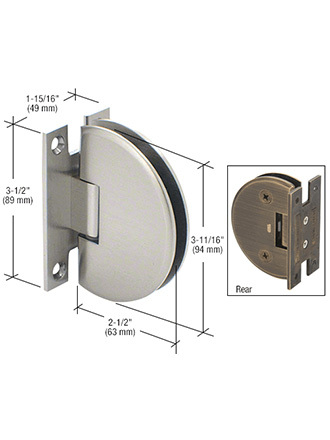 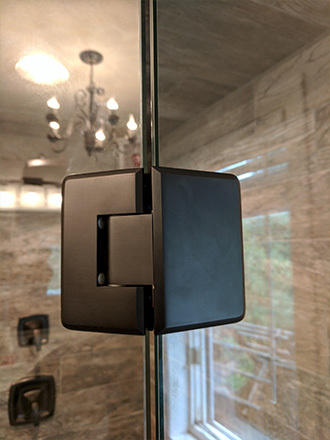 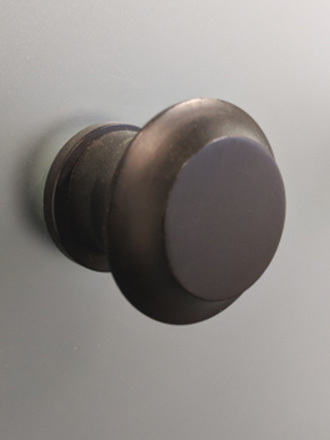 Our hardware comes in a variety of finishes, such as oil-rubbed bronze, chrome and brushed nickel, and suit all sorts of shower door and glass-to-glass mounts. 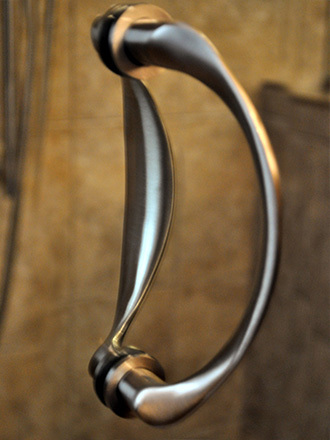 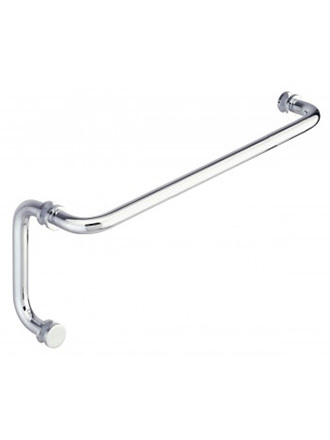 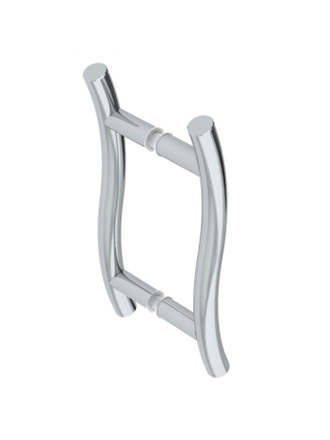 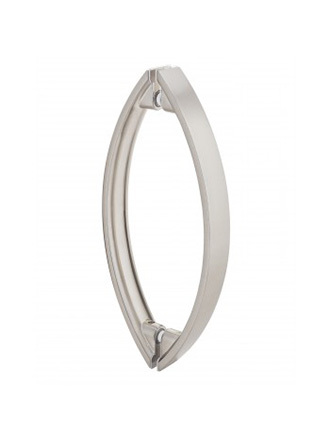 There’s plenty of variety to be had in our shower door handle catalog as well. 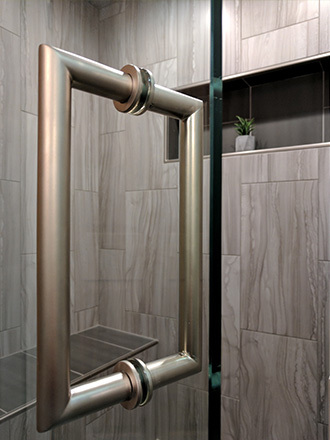 We have options to suit all sorts of bathroom and shower styles, from sleek to ornate and angled to curved. 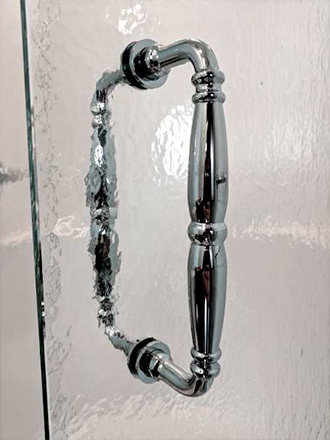 Along with hinges, an attractive glass shower door handle is the perfect way to round out your designer shower enclosure. 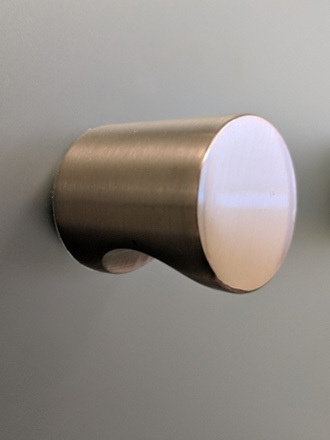 Functionality doesn’t mean giving up seamless design. 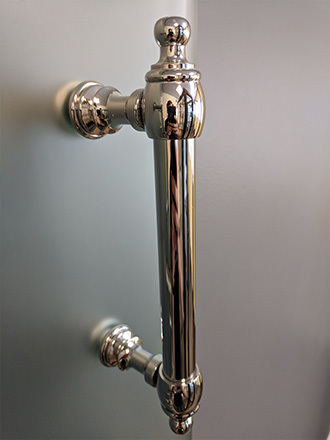 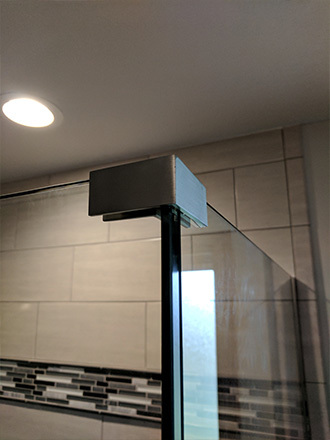 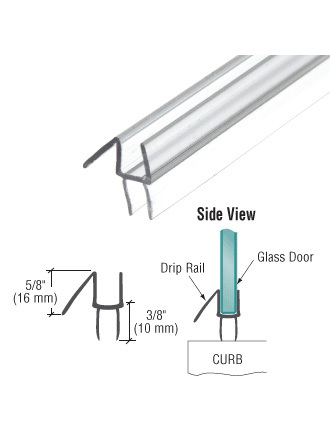 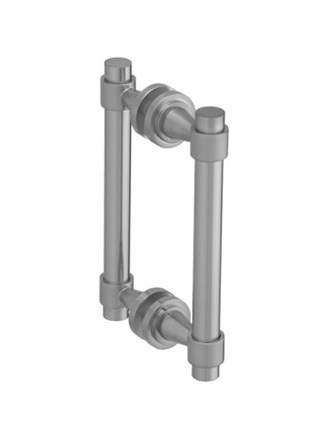 American Glass & Mirror carries “through-the-glass” frameless shower hardware to make your towel bars, hooks and shelves appear to be floating on thin air. 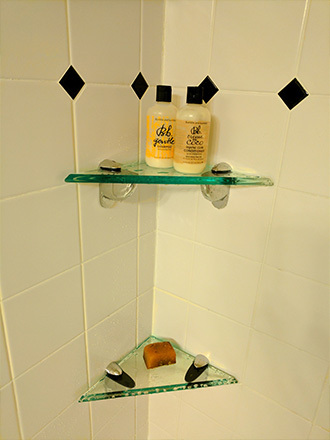 In our extensive catalog, you’ll find everything from door sweeps to glass corner shelves for neatly storing your shower products inside your shower. 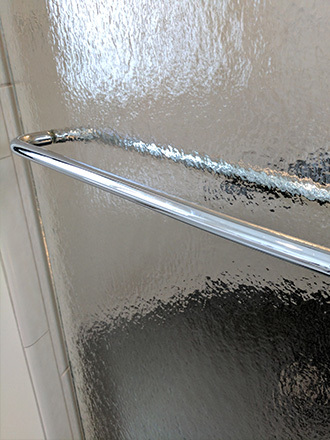 With our range of innovative products and extensive frameless shower experience, no matter your shower vision, American Glass & Mirror can help make it happen.